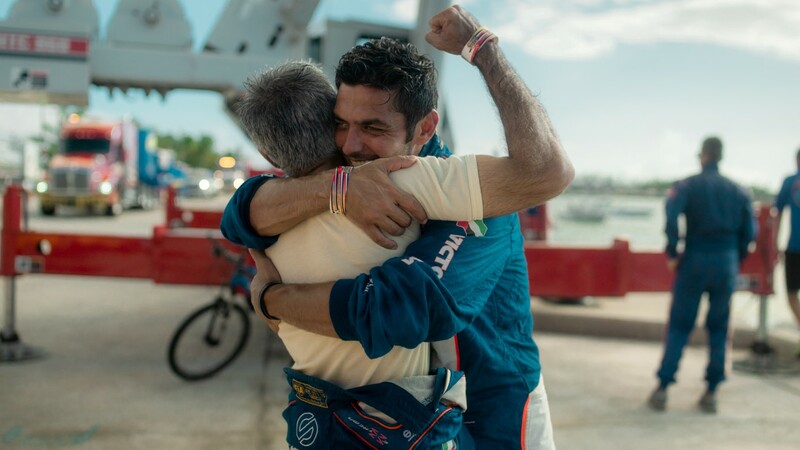 KEY WEST, Florida, USA, 10th November, 2018 (WAM) -- Dubai’s Victory Team proved their true worth as UIM world champions when they claimed the top two spots in the penultimate day of racing at the 38th Annual Key West World Championships in Key West, Florida, on Saturday. "Amazing! That’s all I can say at this moment," Huraiz Bin Huraiz, Chairman of the Board of Directors for Victory Team told a group of media after the race. "Our strategy was to push as much as we can so that we can prove the reliability of our engine package. And that’s exactly what has happened this week as our smaller engines have proven to be much better than the rest. I am confident that our boys will go out there on Sunday and get the job done to ensure Victory Team stays as the number one racing unit in the world of powerboat racing," he added. "This was the plan always. We didn’t want to make changes in the engines and bring in bigger beasts. The plan was to keep these smaller engines, but ensure there is reliability throughout the race," Bin Huraiz stated. "When we came here we thought it was a calculated risk to make such a big step. But here we are now literally just one step away from another world crown. In Sunday’s race we will maintain the same strategy as we are now not thinking of just winning the race. We want to win the championship," he promised. Action for the third and final day of racing will commence on Sunday morning, but the Superboat Unlimited class will get going from 2.30 pm (11.30 pm UAE time).